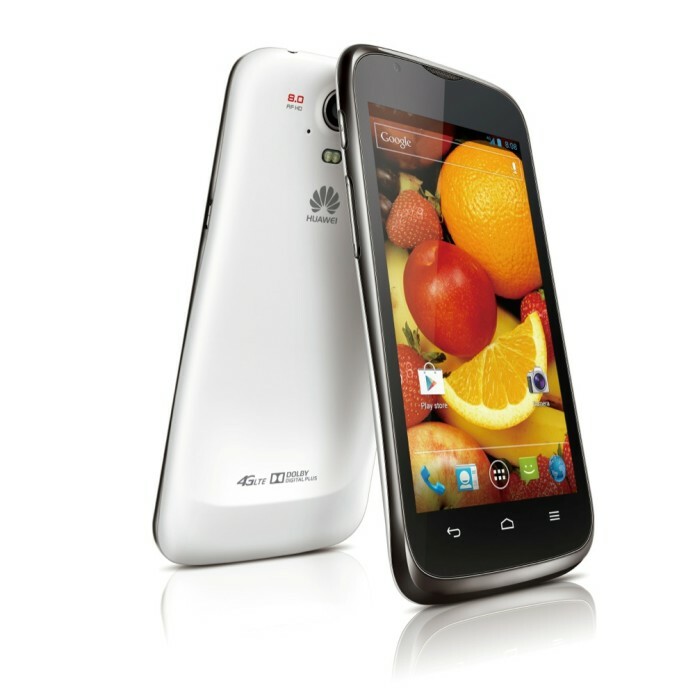 Today on the SlashGear test bench is the new Huawei Ascend P1 Android 4.0 Ice Cream Sandwich smartphone. It was first unveiled at CES and we’ve been waiting for it ever since. As of late Huawei has been making some huge strides with their hardware to better compete with HTC and the Samsung’s in the world, and this phone is a solid attempt. Being one of their best handsets to date can it match up? Check out the rest of the review to find out. Huawei has jumped right into the limelight recently by offering some good quality hardware, and specs that can compete with the big boys. The Ascend P1 is no different although isn’t quite as thin as its P1 S cousin that takes the crown for the “world’s thinnest smartphone.” To start on the hardware look over our hands-on here, then we’ll dive into the rest. Huawei’s equipped this new phone with a large and vibrant 4.3-inch qHD 540×960 AMOLED display, a 1.5 GHz dual-core TI OMAP4460 processor, 1GB of RAM and 4GB of internal storage. The initial specs don’t match that of the Galaxy S III or the HTC One X, but it comes to market with Android 4.0 Ice Cream Sandwich, and an impressive hardware design to keep the others at bay. The phone is extremely well designed, durable, and feels excellent (for the most part) while in use. As you can see the design is similar to what we’ve seen from Samsung in the past, right up to the camera around back like the Galaxy S II. They’ve opted for the same lightweight plastic material and the constructions feels quite familiar. As you see above the button layout is what we’ve come to expect from Huawei and others. Along the right we have the power/wake button and a micro-SD slot for expanded storage. The other side rounds it out with the volume up/down button in a nice aluminum design. Oddly up top is not only the SIM slot (as the back is not removable) but they’ve also tossed the micro-USB for charging on top as well, something I’m not a fan of. Then you have the 3.5mm headphone jack as expected. The rest of the hardware is completed with an 8 megapixel rear camera and dual LED flash, and a 1.3 front camera for those self portraits although I feel their front camera is better than most. The only downfall hardware wise for me would be the hump on the bottom (again similar to most Samsung phones) and while the phone has a nice curved design around the square edges, the bottom is quite sharp and wasn’t extremely comfortable for my style of grip with my pinkie finger resting on bottom. The hardware and design is otherwise excellent — as long as you don’t mind having a non-accessible battery. The back is not removable. Now for software we have a little toss up. The phone looks and runs great on Android 4.0 ICS. Is smooth for daily use, games and multitasks with ease — but is the Chinese market version. What this means is we have no Google Apps. No Play Store (Android Market,) no Gmail, Google Talk, Google Voice, Google Maps… they are all missing. This is expected with the Chinese market so we can’t dock it, and Huawei has confirmed the European and other markets will all have the usual array of Google applications. We have Android 4.0 Ice Cream Sandwich with a pretty lightly modified skin over the top. Nothing has changed too much aside from the lockscreen, and some power widgets in the notification drop down. However, once you hit menu there’s an option for a 3D homescreen instead of the usual, that will completely change the look and feel of the Ascend P1. I actually found myself enjoying the 3D home over the original. With neat animations, a fancy weather widget, and cool effects. The photos below give you a better idea of what you can expect. I like the simple and quick toggle they’ve provided, and it keeps all your icons in place once enabled. In general the software performed just as you’d expect on a powerful dual-core processor. Everything was smooth and swift, and the 3D animations worked great even though we don’t have a 3D display. All the Ice Cream Sandwich effects and cyan blue colors pop with the AMOLED display too. Since being installed for the Chinese markets, the phone did have Mobile QQ, as well as HiSpace mobile app store. They have a pretty limited selection and nothing looked familiar for someone like myself, and I wasn’t even able to find Angry Birds – Sadness. Many of the menus were difficult to navigate considering I don’t speak or read Chinese, but again that won’t be a problem for the European models. What would a review be without a few benchmarks right? Although we have an older 1.5 GHz TI dual-core on board performance was strikingly decent. While no where near the HTC One S and it’s Qualcomm 1.5 GHz dual-core the Ascend P1 still managed some above average dual-core results similar to the Galaxy S II. Reaching around 3500 in Quadrant Advanced with impressive I/O speeds passing 6000. Benchmarks are only a small part of performance but these affirm our daily usage results that this phone is fast and stable. One aspect that I was quite surprised with by Huawei is the cameras on the Ascend P1. Both the rear and front cameras were extremely capable. The rear facing 8 megapixel camera has two LED’s for those dark moments and handles a low lit room with ease. The front 1.3 camera also seemed better than most in my opinion. My little Android models from the gallery below was snapped with the front shooter for a sample, the rest were with the rear 8 megapixel camera. The phone also records in full 1080p and was a little jagged at times of extreme motion but should handle most situations quite well. Here comes one big downside for the Ascend P1 for most Android users. That is the size of the battery, and the fact that it isn’t user accessible or replaceable. The 1670 mAh battery is smaller than most we’ve seen the past 6 months, and can’t be accessed if needed. While this phone was clearly for Chinese markets I did toss in and use an AT&T SIM for a few days for battery tests. That wasn’t ideal but I averaged about 8-10 hours of uptime. This will vary by carrier, HSPA+ speeds and data usage, and location so we’ll leave that be for now. Our final conclusion for the Huawei Ascend P1 was quite favorable. Other than a few design decisions we’d probably change ourselves the phone is promising. Huawei has continued to improve from an OEM brand into a mainstream competitor and the Ascend P1, the thinner P1 S, and the upcoming Ascend D Quad are a fine example of that. It appears they’ve taken some strong hints from Samsung with their smartphone design and direction — and with good reason. Samsung is the number one smartphone manufacturer in the world and their numbers have continued to climb. Out of the multiple Huawei handsets we’ve had the pleasure of working with as of late, the Ascend P1 is one of the most polished and best devices to date. They are headed in the right direction and I’d love to have this phone be available for a good mid-range price on AT&T or T-Mobile. Overall the Ascend P1 has a vibrant screen, impressive specs, the latest version of Android, a top quality camera, and everything fits in a simple and sleek 7.6mm thin chassis. We look forward to what else Huawei sends to market this year and you can expect the Ascend P1 to be available in Hong Kong and Taiwan this month, followed by Latin America in June, and with Europe getting the handset this summer.